A woman was punched and raped in a Crawley park. A police spokesman said the 26-year-old was attacked in Goffs Park in the early hours of Saturday (February 27). 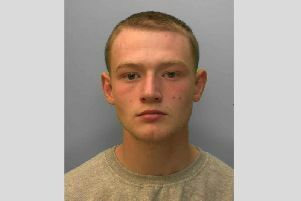 He said: “The victim, a 26-year-old local woman, met two men in Brighton Road, Crawley near ASDA before going into the park with one of them. “It was reported that sometime between 1.30am and 3am the suspect punched the victim and raped her. She managed to run off but was followed by the man to Springfield Road where he sexually assaulted her. Detective Sergeant Sian Harding said: “We are keen to hear from anyone who may have seen the man and woman in the park or in Springfield Road during the early hours of Saturday morning. Witnesses can email 101@sussex.pnn.police.uk or phone 101 quoting Operation Dunstable.